Designed for high-end commercial restroom applications, including hotels and corporate offices, the Privada collection from Bobrick Washroom Equipment combines the elegance and privacy of traditional European restroom cubicles with the modern design stylings and functionality for today’s market. 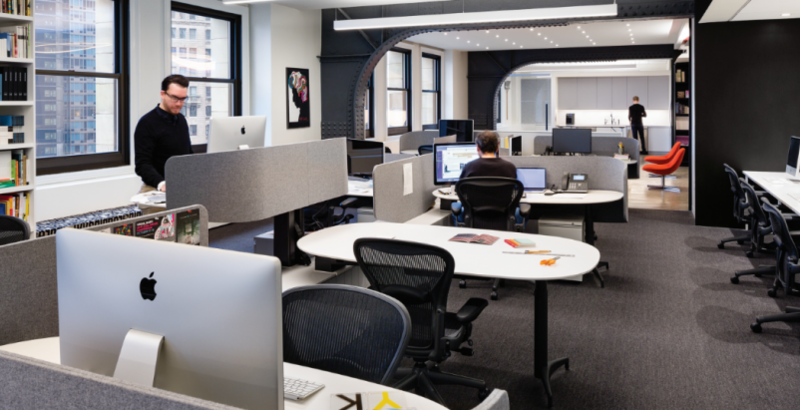 The partitions range from six to eight feet in height and sit on cylindrical pedestals, which offer a toe clearance of either four or nine inches (with slight adjustment for floor variance). 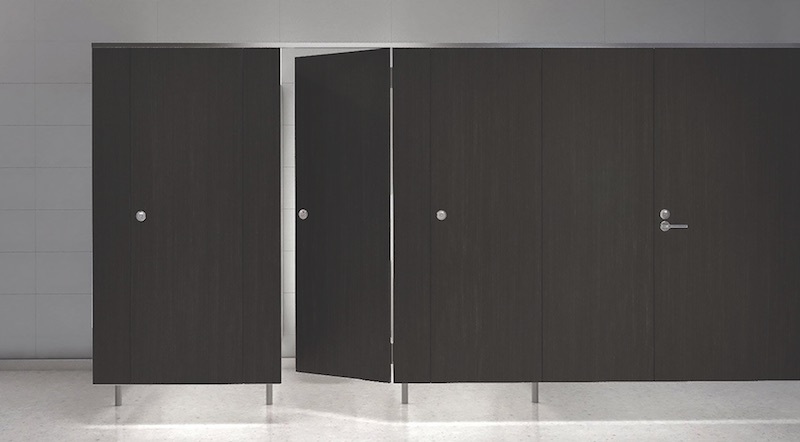 Interlocking panels eliminate sightlines and form flush surfaces, while occupancy indicators enhance privacy. Self-closing doors provide a smooth, gradual closing speed (four seconds on standard doors and up to 10 seconds on ADA compartments). The panels are available in more than 35 standard colors and wood grains, in high-pressure laminate or wood veneer. Hardware: anodized aluminum or stainless steel. All fasteners on the panel surfaces and connection points are fully concealed. 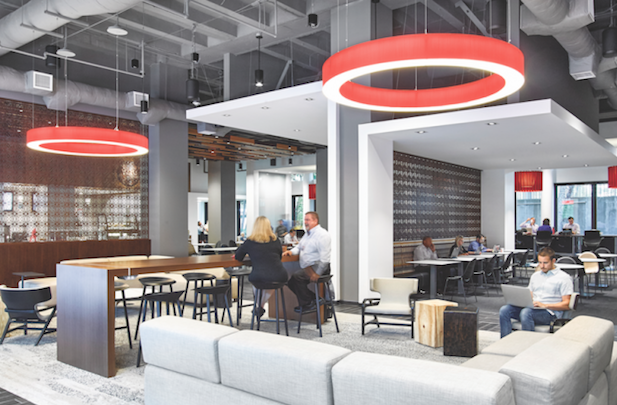 To meet the growing demand for point-fixed glass façades, DOWSIL (formerly Dow Corning) offers its next-generation bonding solution: Transparent Structural Silicone Adhesive (TSSA). 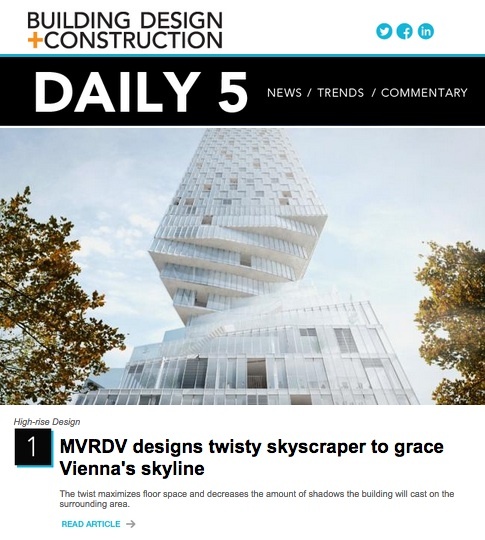 The adhesive eliminates the potential for gas leakage and thermal bridging and is up to 10 times stronger than conventional structural glazing silicones, according to the company. 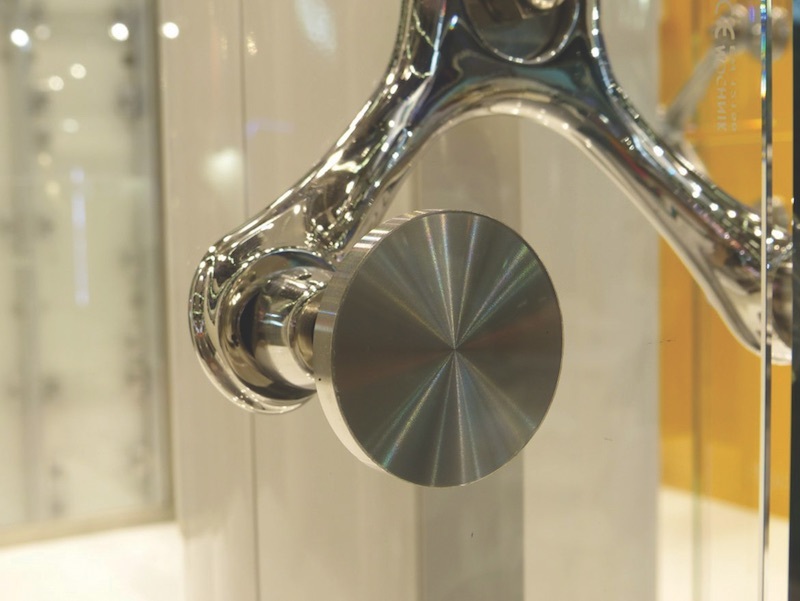 No glass drilling or gaskets are required with this 1mm-thick structural silicone crystal-clear film. A safety indicator within the silicone film turns the adhesive white when the stress level exceeds the maximum design value and returns back to crystal clear when stress is removed. 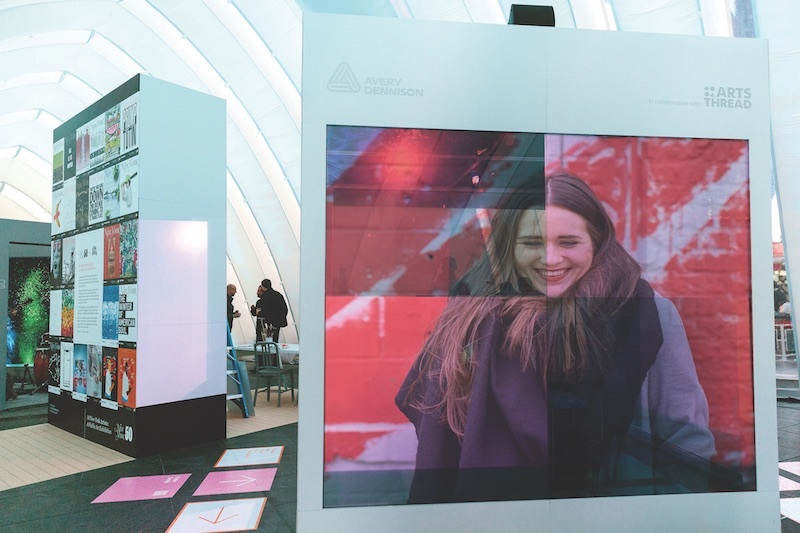 Made for the retrofit market, Avery Dennison’s Vela places a thin translucent film over indoor glass panes, creating a fully “switchable” system for privacy, whiteboard applications, even interactive digital displays. The Vela Dynamic Display System can turn the Vela glass partition into a high-definition TV screen, offering no-glare rear projection with multi-channel control. The technology is based on the use of polymer dispersed liquid crystals controlled by an electrical current. 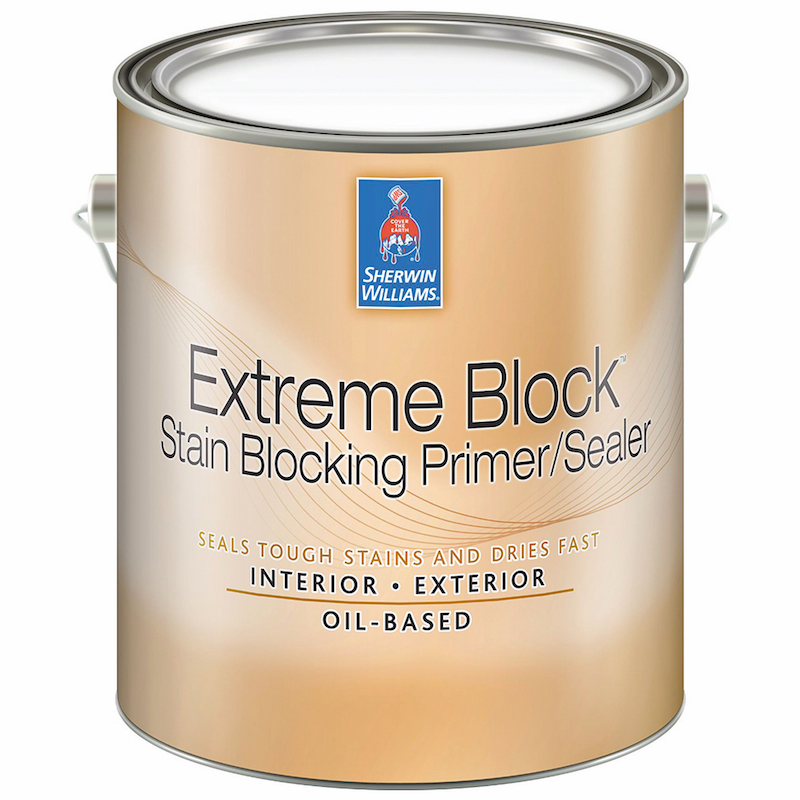 Extreme Block Primer/Sealer from Sherwin-Williams is a versatile indoor-outdoor oil-based primer that reduces the need for repaints by sealing off stubborn stains such as smoke, fire, and nicotine. Designed for building owners and facility managers that need to quickly restore spaces for use, such as apartment buildings. Can be top-coated with acrylic or alkyd products in as little as two hours. Adheres well to wood, drywall, masonry, and prepared metal. Designed for outdoor commercial spaces (floors and accent walls), Oldcastle’s Echelon Veneers by Mirage line of porcelain veneers offers a new collection: Quarziti. Five colors, each named after a natural landscape: Glacier, Mountains, Waterfall, River, and Mantle. The cladding panels are strong—resistant up to 2,200 lbs—and durable, with time-tested performance against freeze/thaw, stains, fire, mold, moss, dirt, and chemical agents, says the maker. Size: 4x18 inches in thicknesses from 0.30 to 0.60 inches. 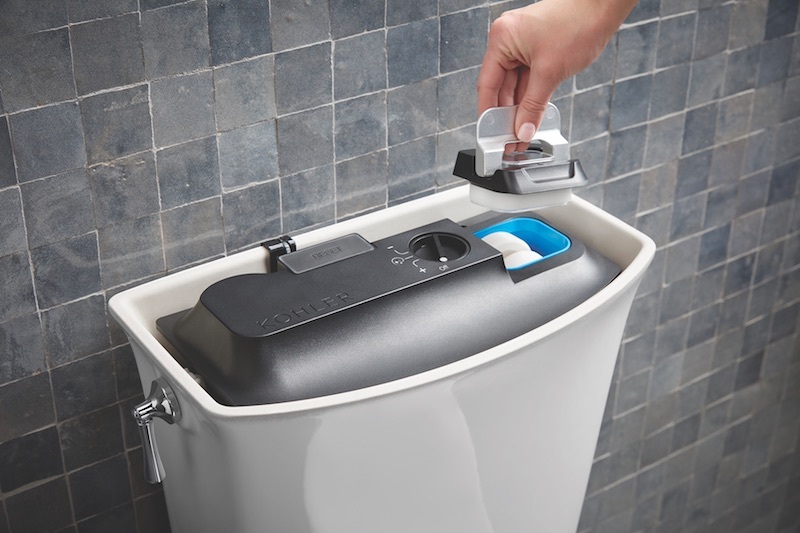 Kohler’s new ContinuousClean option is a factory-installed system housed in the toilet tank that dispenses a consistent dosage of cleaner during each flush to keep the bowl clean. Owners simply place a cleaning tablet (the system works with any brand) in the designated compartment within the system and press an activation button to indicate a new tablet. Three settings allow owners to adjust the dispensing of the cleaning solution. 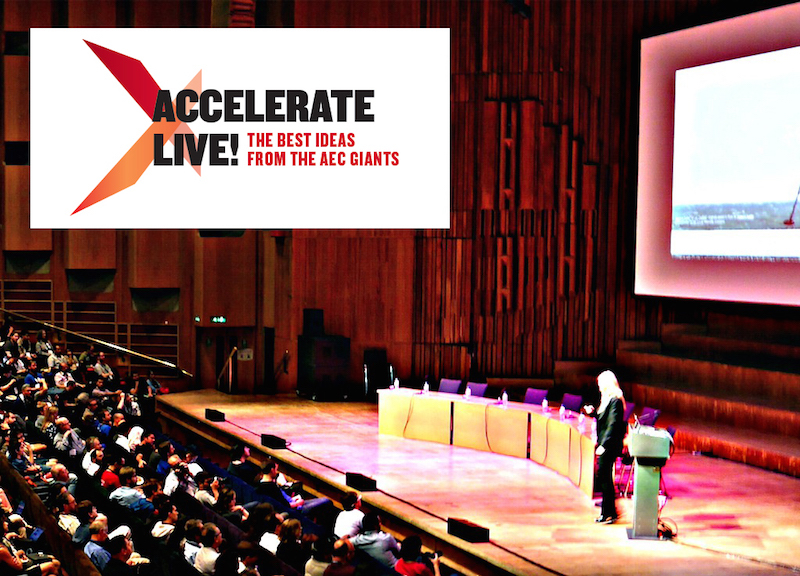 The system is designed to extend the life of cleansing tablets to more than a year.